Bryan J Heaney became an Advocate in 1999. He provides clear, comprehensible and practical advice in a broad range of subject areas. Bryan is the Secretary of Trustbar, the Faculty of Advocates’ Trusts and Executries Group. He advises and appears in trust, executry and property cases. He has pursued and defended actions to have wills and dispositions set aside. He has advised on issues of executry practice and drafted numerous applications to the sheriff. He has dealt with Inner House trust variation proceedings under the Trusts (Scotland) Act 1961. These areas of expertise dovetail with his special interest in civil and criminal proceedings under the Proceeds of Crime Act 2002. He has appeared in some of the most important and high profile civil recovery cases in the Court of Session. 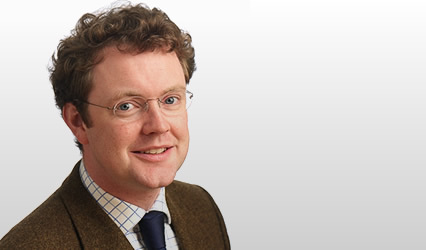 Since 2005 Bryan J Heaney has been on the panel of Standing Junior Counsel to the Scottish Ministers and has appeared on their behalf in various courts and tribunals including the Lands Tribunal and Land Court. He has dealt with everything from land valuation to agricultural subsidies. As a standing junior he keeps abreast of public law and human rights issues and enjoys judicial review work. He also has a substantial reparation practice for pursuers and defenders. He is experienced in medical law cases having pursued and defended across the range from podiatry to brain surgery. Bryan J Heaney also has an interest in employment law. He has conducted long and complex tribunal cases, including discrimination cases, for both claimants and respondents. From 2010 until 2017 Bryan was a Legal Assessor to the Disciplinary Sub-Committee of the General Teaching Council for Scotland. He has an insight into professional disciplinary proceedings and he accepts instructions in professional discipline cases. He is an instructor on the Faculty of Advocates Foundation Course and a law reporter for The Times Law Reports and Lloyd’s Law Reports (Financial Crime). In 2017 he was appointed an advocate depute (ad hoc).